Long-distance relationships are often difficult to maintain because of challenges such as loneliness, separation anxiety, traveling expenses and trust. Dating people in the military can include all these challenges and more, as they are often in dangerous situations or doing work they are not permitted to talk about. However, this does not mean your relationship is doomed. Successful military families and experienced military spouses have learned how to cope with limited contact. Dating a soldier offers unique challenges. Form a support network with your family, friends and neighbors. You are less likely to feel lonely and isolated while your military sweetheart is away if you have an active social life and lots of loved ones to talk to. This network will be especially important to you during holidays like Christmas, Thanksgiving and your birthday. Maintain friendships with people your age do fun things, like seeing movies or playing sports. Make friends with other military spouses and significant others. No one can understand your difficulties as well as people who are in the same situation. They can give you tips for dealing with the separation and limited contact and may also be willing to provide you with a shoulder to cry on when you are feeling lonely. 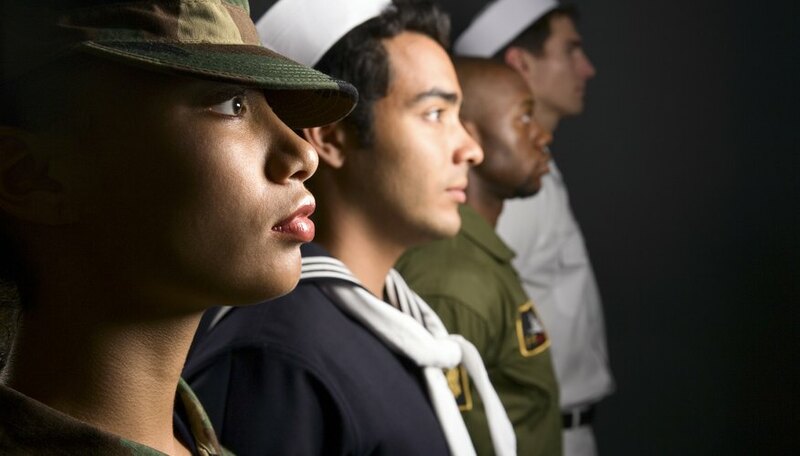 Military spouses and significant others are accustomed to forming support networks and will often throw small get-togethers such as barbecues, picnics or cocktail parties just for people in your situation. Send your soldier frequent care packages. The soldier will appreciate your gifts and keep you in mind. Putting these packages together can also be a fun activity for you. Include handwritten letters, pictures, magazines, things to entertain the soldier, phone cards and baked goods, but don't send any food product that could go bad or melt, like chocolate. Don't include anything too personal or anything that might embarrass the soldier if the other soldiers see it, because these packages are not necessarily completely private. Trust your soldier while you have no contact. If you want to stay in the relationship, you will have to trust that your soldier is thinking of you and not cheating. Your soldier is probably too busy working to do anything that you would object to, anyway. Don't drive yourself crazy thinking about all the things your soldier might be up to while you aren't there to supervise. Take advantage of all opportunities to see each other, when your soldier is on leave or when the military allows phone calls or video messaging. Make sure you have the technology to receive such calls, emails and text messages and keep your phone handy at all hours, as your soldier may be in a different time zone and can only use the technology when allowed. Hannigan, Elizabeth. "How to Cope With Limited Contact When Dating Someone in the Military." Dating Tips - Match.com, https://datingtips.match.com/cope-limited-contact-dating-someone-military-13196882.html. Accessed 18 April 2019.